The core of the game is based on networking with friends, playing golf with them and taking on the challenge of user created courses. It is a wonderful idea, but over a weekend of on and off playing, and further testing since the official release, there are some issues with the netcode. I kept losing connection to the server which in turn means you are unable to fully explore what the game has to offer. When the connection to the servers is up and running though, the game stars to click into place. Faced with a giant hill on my custom course…I made it! When starting the game at one point recently, I was presented with a message that a Steam friend, in this instance Steve Hogarty from PCGamesN, had completed a round on one of the courses made by HB Studios. With a click of a button I was whisked away to the gold course where I found myself playing against a ghost of Steve’s round. It was a simple way of keeping me invested in my round, trying to beat the score of a Steam friend. Round scores let you track your progress against a friend with ease. You won’t find any official courses here (or none that I recognised at least) and certainly no professional golfers. You can mildly customise an avatar of yourself before taking to the courses from HB Studios or the players. When choosing a course to play, you can see how players have rated it, the number of holes, difficulty level and other important details. It makes it straightforward to sort the wheat from the chaff, and I have to say that I applaud the decision of the developers to include courses which don’t fit into the standard 18-hole format. It makes things interesting. 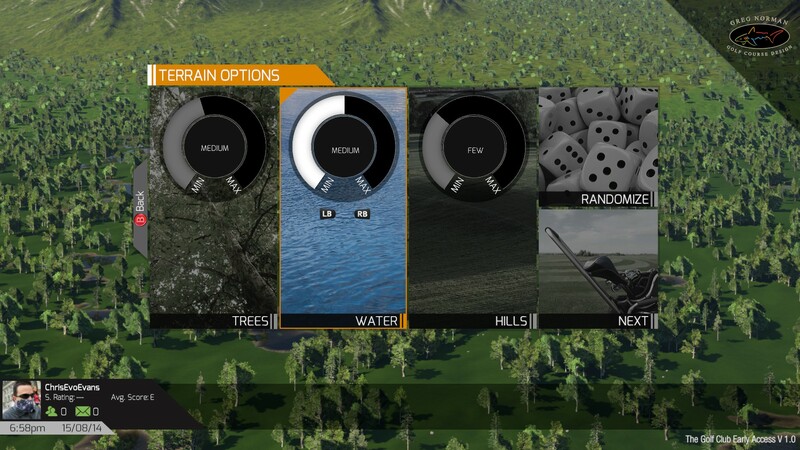 The element that will appeal to the real golfing aficionados as much as casual players like me is the course creator. You can readily create a course based on several pre-sets such as location, number of holes and amount of hazards. In a flash, a welcoming course will be laid out before you. You can either save the course as is and publish it to the wider community (or keep it saved locally for your own amusement) or sink your teeth into the course creator and mess around with each hole. Elevations can be changed, fairway shapes twisted and turned and water placed in devilish locations. If there aren’t some pretty damn good replicas of real golf courses in-game within a few weeks, I’ll be bitterly disappointed. You can drill down into detail by placing clubhouses around the course along with signs pointing the way to different holes. Or you can take my lead and add some animals to the course, perhaps you want a fox wandering the greens or a whale in the lake? They are at your disposal. Making a new course is easy as pie. 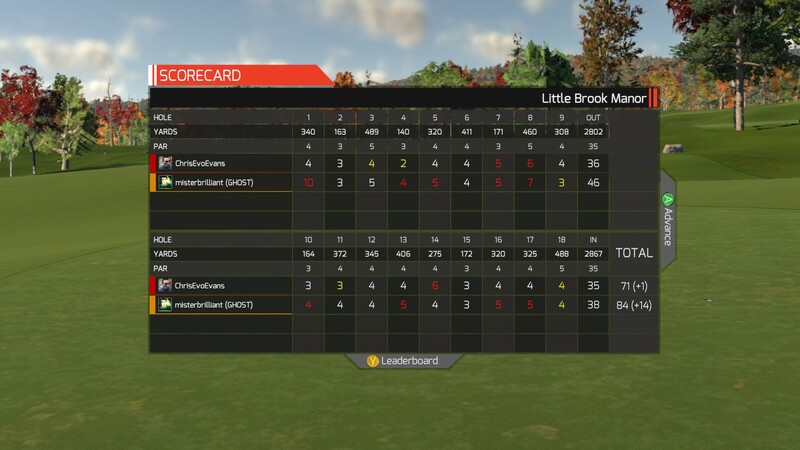 Despite a few issues with the networking and some in-game performance issues, this is a bloody good game of golf. 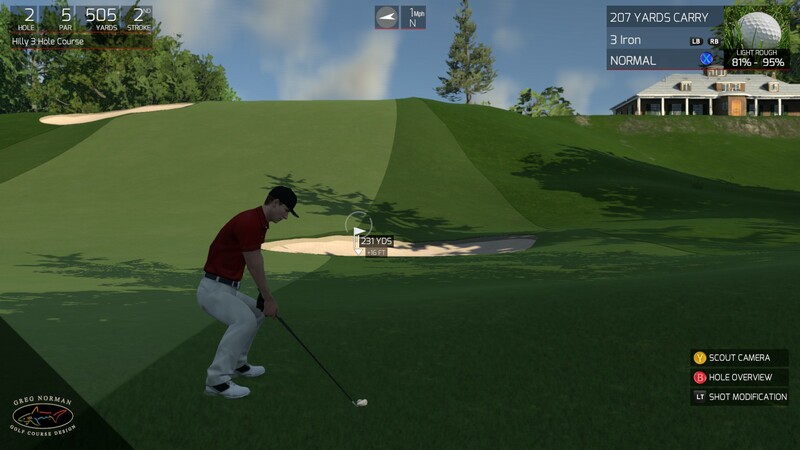 It does away with lengthy career modes and golfer development and lets you get down and dirty with striking a little white ball long distances. Transitioning from hole to hole with a slightly snarky American commentator, but without pauses for loading the new hole is a pleasure. Though you might end up muting the commentary after a while. Get some friends playing this, create some fun courses and get swinging. Please see this post for more on our scoring policy. Steam review copy supplied by PR. The Crew – Action Driving, The Trailer!